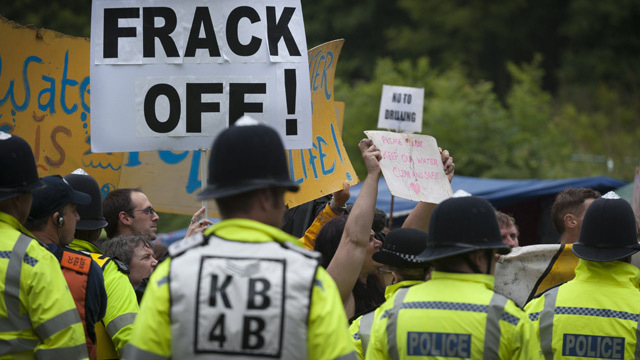 Balcombe village, in West Sussex, has become in the last weeks the focus for the fight back against the government’s decision to promote fracking in the UK. The locals have been running a community protection camp outside the gates of an exploratory fracking operation just outside their village for over two weeks, and now, the planned Reclaim the Power action camp has decided to join them. The decision to roll out a vast program of hydraulic fracturing (fracking) across 64% of the UK has been rushed through with no public consultation by a government with many close ties to the industry. They have ignored the advice of their own energy and climate experts and decided to push this through, even after two earthquakes caused by fracking in Blackpool. There is mounting evidence that fracking poisons underground aquifers, uses 16 to 50 million litres of water for each well, will not lead to cheaper energy bills for the consumer and will accelerate, through methane release, what is already practically runaway climate chaos. They have lied all the way down the line and have pushed the move to renewables and sustainable energy out of the discussion, even to the extent of banning local councils from discussing sustainable alternatives when faced with fracking applications. The process has made a mockery of any sense of democracy in this country and underlined that profits come before people at any cost. Reclaim The Power will set up a camp from Friday August 16th to Wednesday 21st. 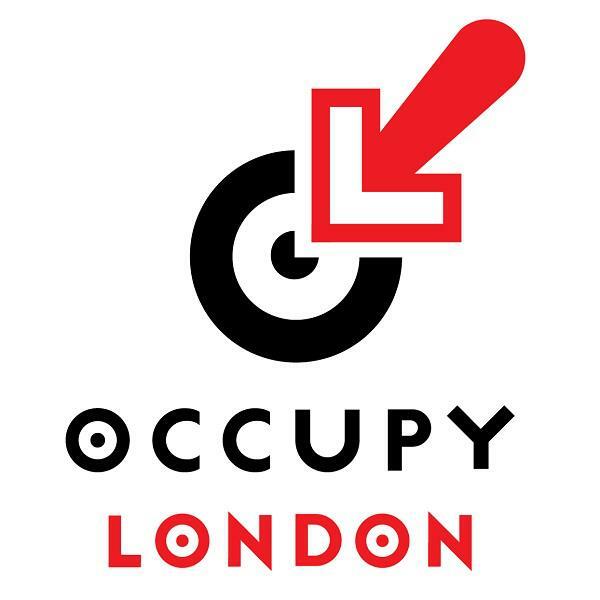 It is a coalition of experienced direct action groups ranging from UK Uncut, DPAC, Fuel Poverty Action, the Association of greater London Pensioners and Occupy to Campaign Against Climate Change, Frack Off and No Dash For Gas. We will have three days of networking, skillshares and talks from experts from across the UK as well as people from across the world who will describe the destruction to their environment caused by extreme extraction methods like fracking. 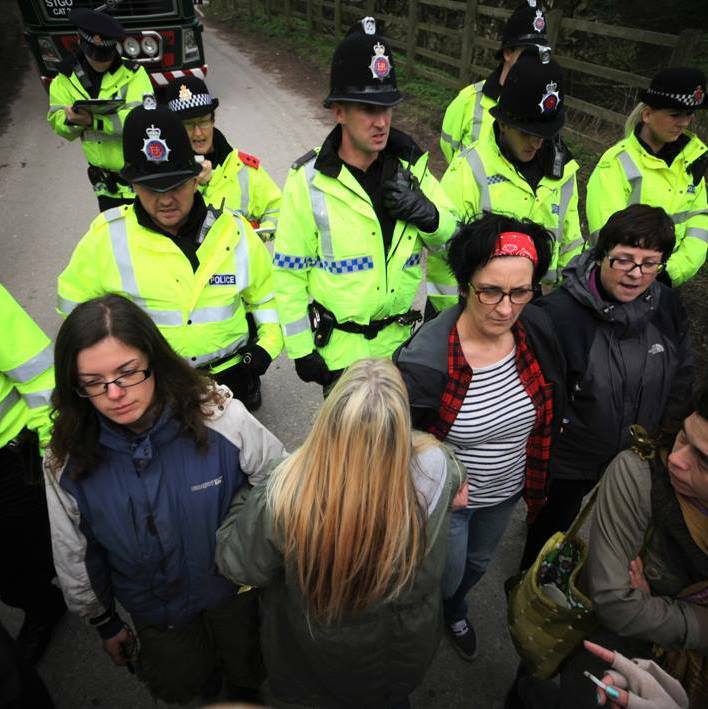 The following two days will see several audacious direct actions that will be targeting the drilling operation in Balcombe. 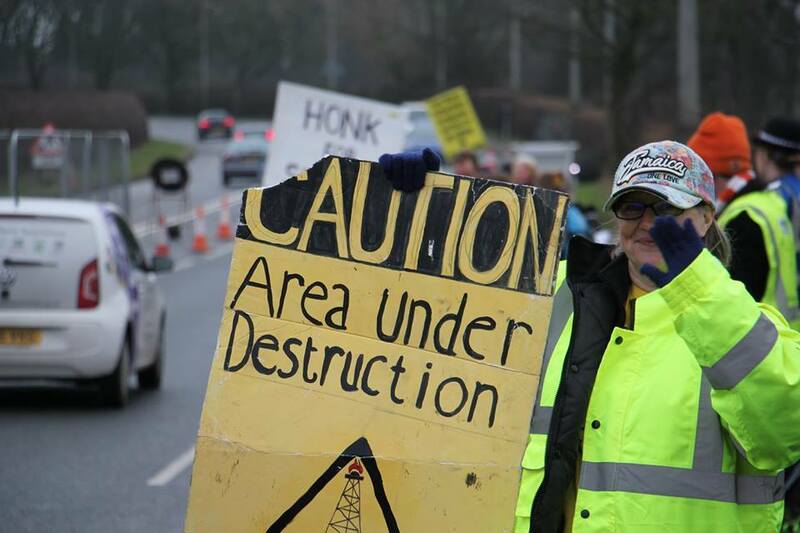 We aim to shut down Cuadrilla, the operators, raise mass controversy across the UK about fracking and our energy policy and make this a turning point in a government who have exhibited no other credo than greed and profits before people at all costs. And it can have ramifications for all other countries in the same grip of corporate tyranny. Please get the message out and join us if you can! Barton Moss by Tina Louise.